We have to vote for it first. Vote for what it meant? lol more like Fuehrer Orange in the Russian hotel room with the prostitute urine. That's what I want to know. 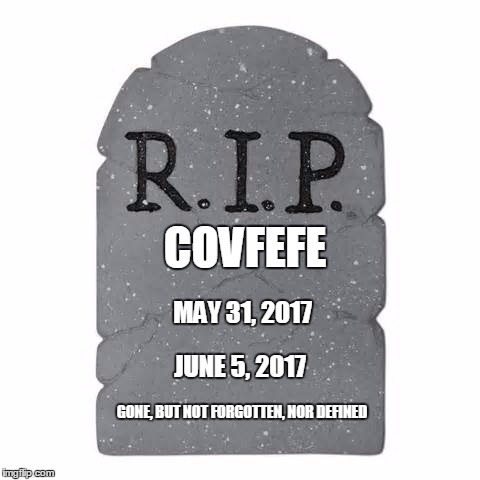 But if Covfefe died, it had some offspring. 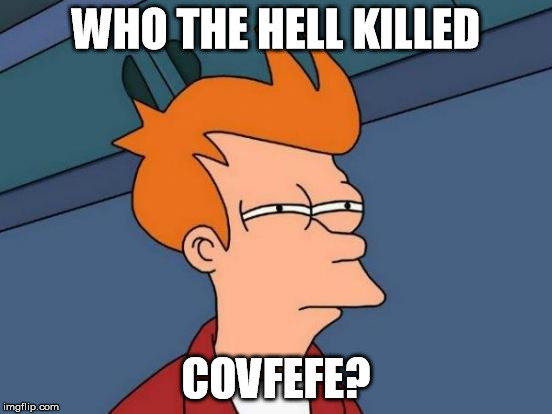 There's El Covfefé and Nescovfefé to name a few.